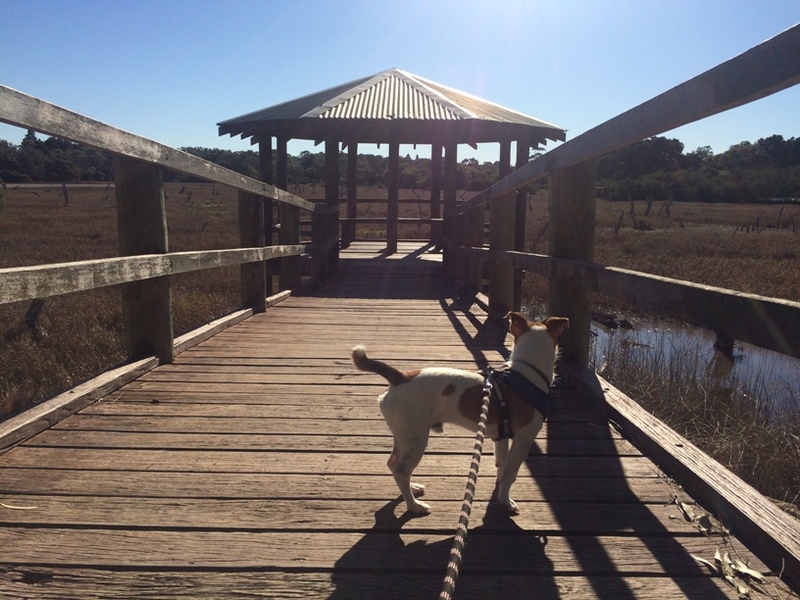 We discovered the Lake Claremont Playground (well that's what we are calling it as it's not on google maps) whilst enjoying an on the lead walk with our dog around the beautiful Lake Claremont. 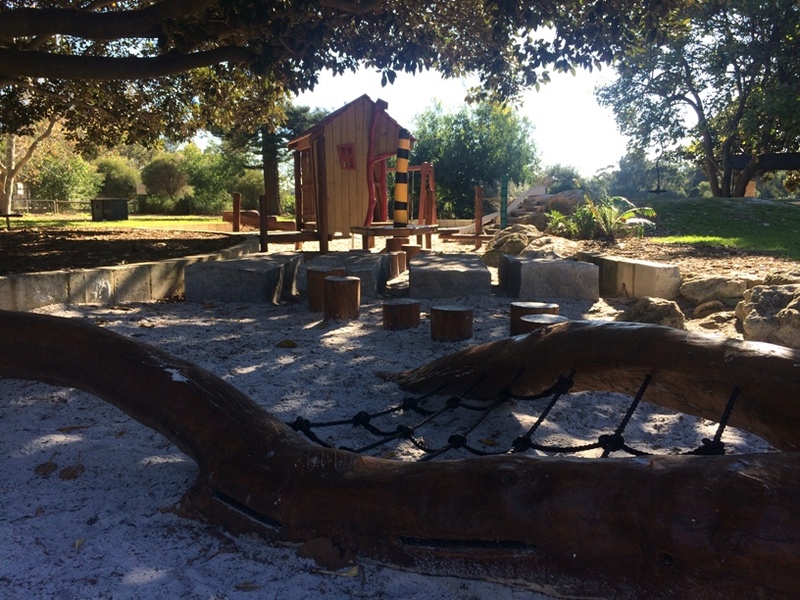 This small but packed with character playground is located at the end of Stirling Rd in Claremont and is beautifully placed right alongside Lake Claremont. The playground is open to the lake's edge so please watch little ones very closely here. It's a good mix of nature play and traditional play at Lake Claremont playground and is better suited for toddlers and preschoolers. 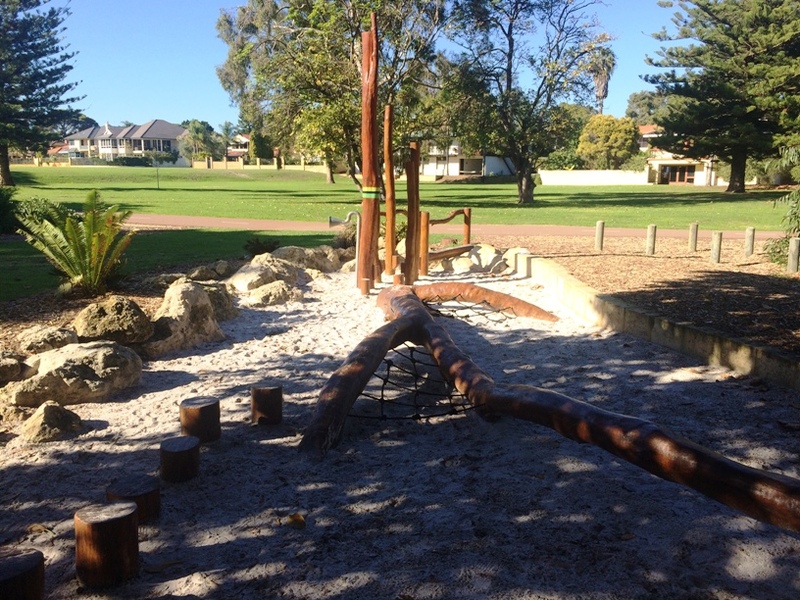 Next to the playground are some exercise stations. 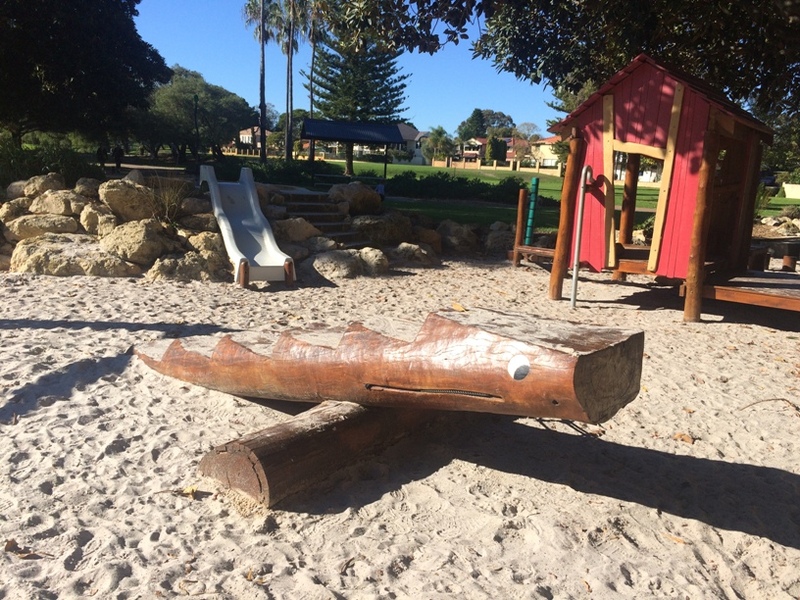 You can find these as you walk from the playground to the Lake Claremont Golf Course where Lake Espresso is located. 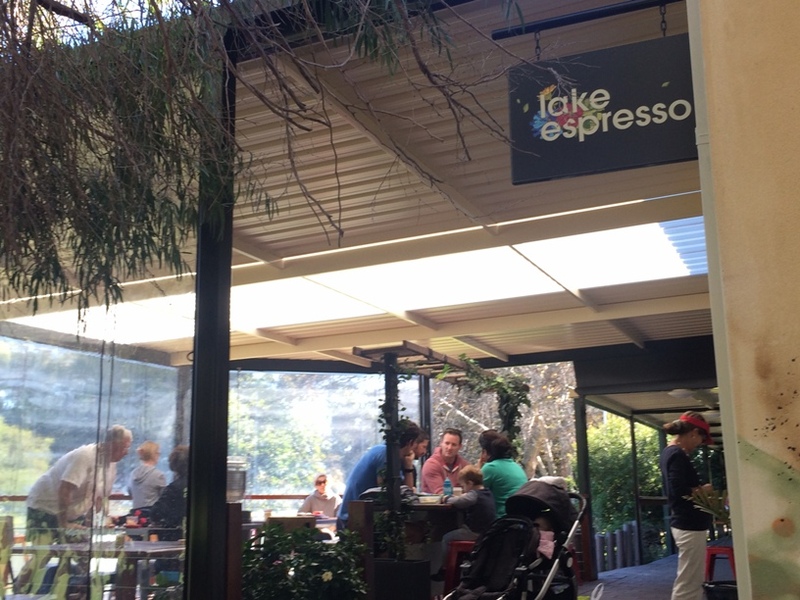 Lake Espresso is only a couple minutes walk from the playground and you can find it within the Lake Claremont Golf Club. It's a hole in the wall style cafe with a good range of teas & coffees but limited food menu, but great if you just want to get a coffee and a muffin after your play or to take over to the playground. Dogs are welcome on a lead at Lake Espresso and it is open daily, but be early as it closes at midday each day. You can also find toilets at the golf club during it's opening hours. If you would like to team up your play with a walk around Lake Claremont it just under 3km around and has a bitumised shared path half way around and compacted limestone path the rest of the way around. It's suitable for prams and bikes (scooters should be ok but small wheel scooters may have trouble in some places). Dogs are welcome to join you on a lead and of course they must be kept out of the playground area. 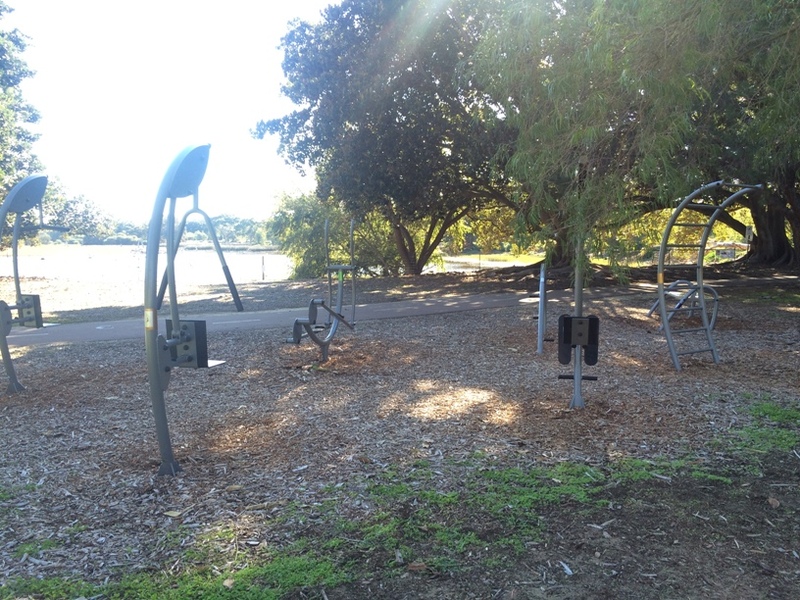 If you want the kids to get in a walk before the playground we recommend that you instead park at the Lake Claremont Golf Club car park on Lapsley St (just below the Claremont Pool parking) and walk anti clockwise around the lake. You will find the playground towards the end of your walk and then it's just another couple of minutes walk to Lake Espresso which is located where you will have parked your car. 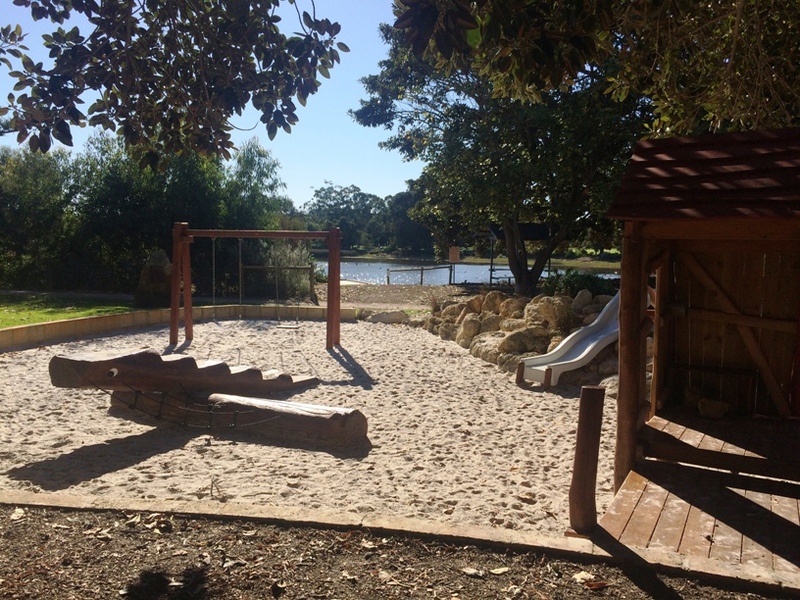 We know you will fall in love with Lake Claremont, with this gorgeous playground, beautiful lake walk and coffee nearby this is the perfect place to enjoy a bit of nature and get in some daily activity as a family.